Can anybody stop the Rick Hendrick Chevrolet juggernaut? Not yet, it looks like. Hendrick men ripped the field in late Friday practice for Sunday's 355 at the Glen, with Kurt Busch, Ryan Newman, Tony Stewart and Jeff Gordon posting four of the five fastest speeds. Only Dodge's Brad Keselowski, second here a year ago in only his second Cup start at this very fast road course, could keep up with the Chevrolets. For Hendrick rivals it's been a tough three months since those Chevy guys caught fire. Hendrick's lead foursome, and satellite team driver Tony Stewart have won eight of the last 11 tour events, and for the season Hendrick men have scored 11 wins to Ford's two. And Jimmie Johnson, who appears well on his way to a sixth championship, says it could well get worse for his rivals as the chase nears. When the playoffs start, certainly the Hendrick men must go into a 'me-first' mode? "I know people think that communication stops," Johnson says. "It doesn’t. It can’t. "At Hendrick Motorsports, the information is always there. It can’t stop. Every outing report that every team makes goes into a database and it’s there. "Maybe drivers don’t talk as much as they have, but all the information is in the database. "All of the information sharing is there...and it’s been that way since I’ve been at Hendrick Motorsports." At the moment all four Hendrick regulars are in the playoffs, plus three-time champion Tony Stewart. And Ryan Newman is right on the verge of getting a playoff spot too. 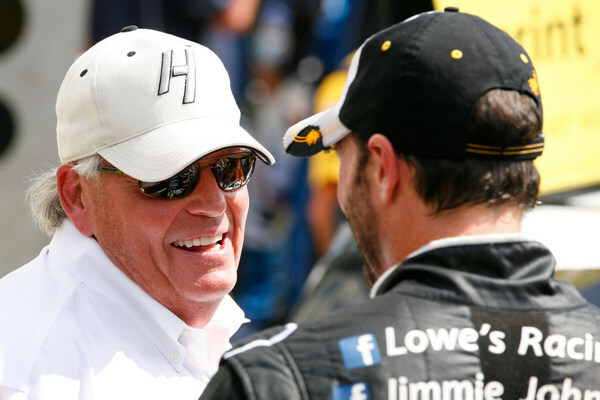 Sharing information from those teams should give Hendrick men a major advantage over rivals. Keselowski, for example, is virtually the Lone Ranger in this deal. Faced with the Hendrick powerhouse, rivals have begun teaming up to find answers. After Hendrick-powered/Hendrick-engineered teams have won six straight Sprint Cup championships. 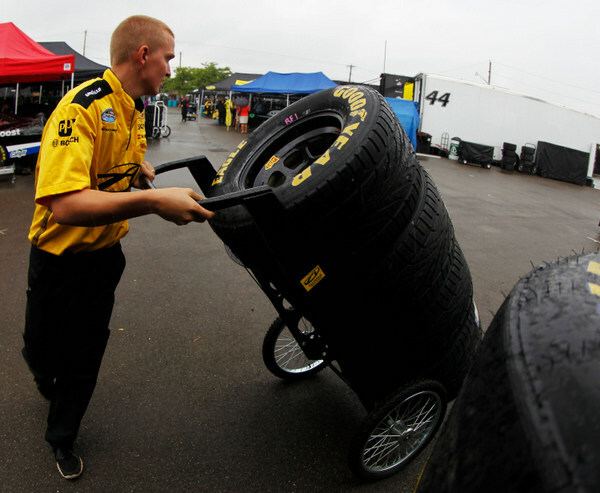 The Finger Lakes weather in early August invariably involves rain, and Friday that was the issue again for NASCAR teams…raising again the question of why this part of the calendar was picked for the Sprint Cup series. Grand-Am sports cars were on the track even in the early morning rain, and NASCAR's Nationwide teams too – with more than a little bit of prodding – got out on the course too with rain tires, actually designed for racing in 'wet' conditions rather than outright rain. But Cup cars stayed in the Watkins Glen International garage until the sun broke through and the track dried. 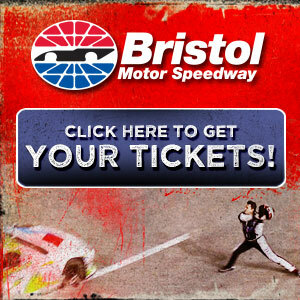 Nice sunny weather is expected the rest of the weekend, with Saturday morning qualifying for both NASCAR series, leading up to the Nationwide 200 (2:15 p.m. ET) and the two-hour Grand-Am event (6 p.m.). Every other road course series in the world races in the rain, but not NASCAR Cup. 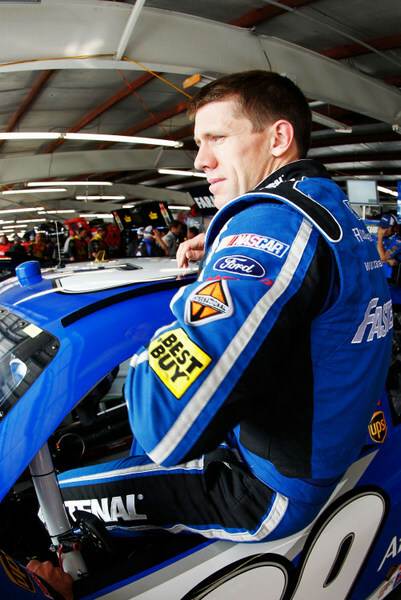 However Carl Edwards says his rainy 2009 Nationwide duel at Montreal with Marcos Ambrose "was one of the most exciting races I've ever been a part of." Why don't the 3400-pound Cup cars race in the wet if the 3300-pound Nationwide cars do? Edwards, making a rare Nationwide start here, says "I don't know why exactly they don't do it in the Cup Series. It's a good question. We talked about that a little bit this week in preparation for this race. "I'm sure they have a really good reason. 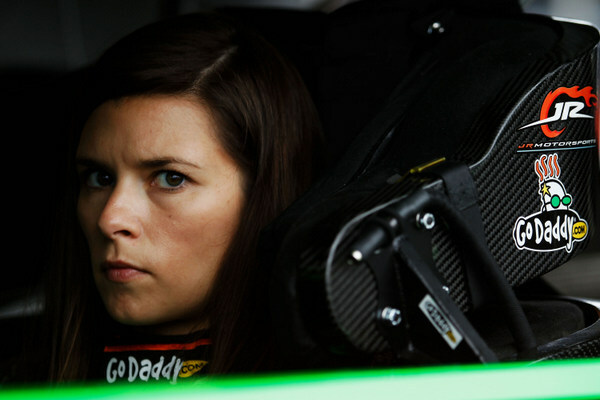 "I've enjoyed racing in the rain in the Nationwide Series. "At Montreal (where late August has occasional rain too for the NASCAR weekend), there are times there has been standing water, and that's a whole different animal. "But that race with Marcos, when the track was drying, the win aside, the race for that win was one of the most exciting races I've ever been a part of….and that's because when the track is drying you have so much difference in grip between the wet spots and the dry spots. 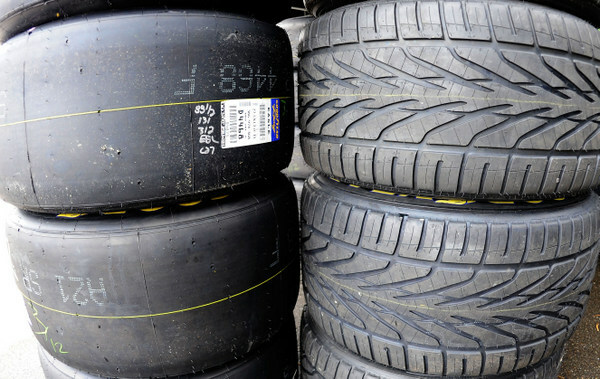 "Then managing the use of the tires, because the rain tires don't hold up as well on the dry as you'd like, and you can hurt the tire. "There are a whole number of factors that play into driving fast on a wet or drying race track. I really enjoy it…so I would say that a little rain shower in the middle of the race would be just fine. I think it would be a lot of fun, and I think it would test all of us a lot and be really exciting." If so, the favorite would almost certainly be veteran road racer Ron Fellows, in a Hendrick engineered Chevy, as teammate with Danica Patrick. Edwards is making this Nationwide start here because he is desperately trying to rally to earn a spot in the Cup playoffs, which open Sept. 16th. If Edwards were to win Sunday's 220-mile race (one of the shortest on the entire Cup tour), he would earn one of the wild cards slots in the chase….for the time being at least. However if performance here over a career is the leading indicator of what to expect Sunday, Tony Stewart will win, with Marcos Ambrose, Juan Pablo Montoya, Kyle Busch and Jimmy Johnson right behind. And Edwards would finish only eighth. But NASCAR road races have become somewhat unpredictable, with gas mileage and fuel windows being key. And with NASCAR's new electronic fuel injection systems, teams should be almost spot-on on how far to go on a tank. And one of the big stories in the garage here, and on the tour the past three months, is the Rick Hendrick camp – what have those guys discovered to make their drivers almost invincible? "That's a question we ask ourselves a lot," Edwards says. "They do a really good job, and it seems like the anomaly for them is to be a little bit behind, and then the norm for them is to be just a little bit ahead. "We've been working very hard to be as proactive as we can…and we've shown over the last couple of years that we're able to stay out front more often than we historically have. And if you look at our performance just of late, when they're dominant, like they are right now, we've been closer to them. "And we are closer to them than we have been." The run began with Jimmie Johnson's blitz at Darlington in mid-May; Matt Kenseth was Roush's top finisher, sixth. At Charlotte it was Kasey Kahne winning; Greg Biffle fourth. At Dover it was Johnson winning; Kenseth third. At Pocono Tony Stewart, 3rd, and Johnson, 4th, were Hendrick's top finishers; Kenseth finished seventh. At Michigan Dale Earnhardt Jr. won, Kenseth finished 3rd. At Sonoma Stewart led the Hendrick pack with a second; Biffle was seventh. At Kentucky Kahne led Hendrick's guys with a second; Kenseth was seventh. At Daytona Stewart won; Kenseth was third. 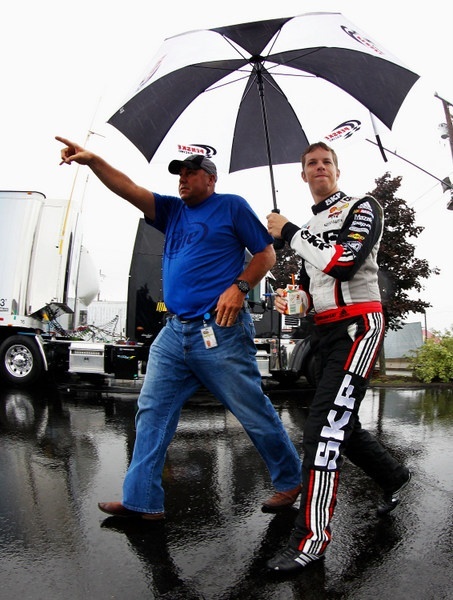 At New Hampshire Kahne won; Biffle was ninth. At Indianapolis Johnson won; Biffle was third. And last weekend at Pocono Jeff Gordon and Kahne finished 1-2; Edwards was seventh.